Cruising through a dozen or so apps and services demoing at the RealTech SF event in San Francisco a couple weeks ago made me realize how much the real estate startup scene is once again in full swing. Many of these startups have great ideas, solid engineering and a thirst for growth. But few seem to have a grasp on the greater real estate industry — the ecosystem in which relationships grow, technology connects and politics governs. As someone who genuinely wishes to see more innovators succeed in real estate, this crib sheet came to mind. Think of it as a primer on the basics. This acronym stands for Real Estate Transaction Standard. The name is somewhat misleading. There is, of course, no “standard” for real estate transactions. RETS is a protocol for delivering data from MLSs to brokers, software developers or other MLSs. It is an attempt to make life easier for brokers and software developers who want to access data from more than one of the nearly 900 MLSs in the country, each of which may have different data fields and naming conventions. A “patio” in New York may be a “lanai” in Hawaii, for example. Short for Real Estate Standards Organization, RESO oversees RETS and continues to push for uniform MLS data standards. It is an open community of volunteer real estate businesspeople and tech vendors. Syndication is the name given to the delivery of real estate listings data to websites for marketing purposes. Many brokers choose to syndicate their listings to sites like Zillow, Trulia and many other smaller websites that attract consumers interested in property. This is different from IDX, which is broker-to-broker listings sharing and display (see below). Short for Internet Data Exchange, IDX is the name given to the sharing of listings among brokers for the purpose of website display. It is also known as broker reciprocity. IDX is a way for brokers to maximize the exposure of their listings (their listings appear on all other brokerage websites) and enables them to give consumers a complete home search experience on their own websites (they display virtually all the listings in their market, not just their own). IDX is managed market by market by local MLSs. COVE stands for MLS Cooperative Venture, and is a group of large MLSs that promotes the ability for MLSs to share knowledge and create data standards. They’re a significant player in the whole RETS initiative. The Council of Multiple Listing Services is a group that brings together MLSs in the interest of cooperating and sharing information that will better the MLS industry. They talk about technology, legal and organizational issues faced by MLSs across the country. They also hold a well-attended conference each year. This stands for Real Estate Settlement Procedures Act. You’ll hear a lot of talk about it in the industry because this law governs affiliate business relationships, which are the lifeblood of most brokerage businesses. Kickbacks are highly scrutinized by regulatory agencies and carry stiff penalties. Today, RESPA is policed by the Consumer Financial Protection Bureau. Realogy is the largest real estate company in the world. This publicly traded corporation owns Sotheby’s, Coldwell Banker, Century 21, Better Homes and Gardens Real Estate, ERA, NRT (see below), and large title and relocation businesses. Realogy is both a franchisor and owner/operator of real estate offices. NRT stands for “National Realty Trust” and is owned by Realogy. It is the largest residential brokerage company in the U.S., and owns companies that do business under the Coldwell Banker, Coldwell Banker Commercial, ERA, Sotheby’s and Corcoran brand names. These are Realogy’s “company-owned stores” (as opposed to most of their offices, which are franchised). HomeServices is the second-largest brokerage company in the nation. It operates largely through regional or local brands, and has historically positioned itself against national franchises. Edina Realty, Long Realty, and Koenig & Strey are just a few of the local brands owned by HomeServices. HomeServices is a Berkshire Hathaway company. The company launched a franchising arm in 2013 called HSF affiliates (see below). A franchisor owned by HomeServices of America that franchises the Berkshire Hathaway HomeServices and Real Living brands. HSF Affiliates is owned by HomeServices of America and Brookfield Residential Properties, a multibillion-dollar Canadian conglomerate (confused yet?). 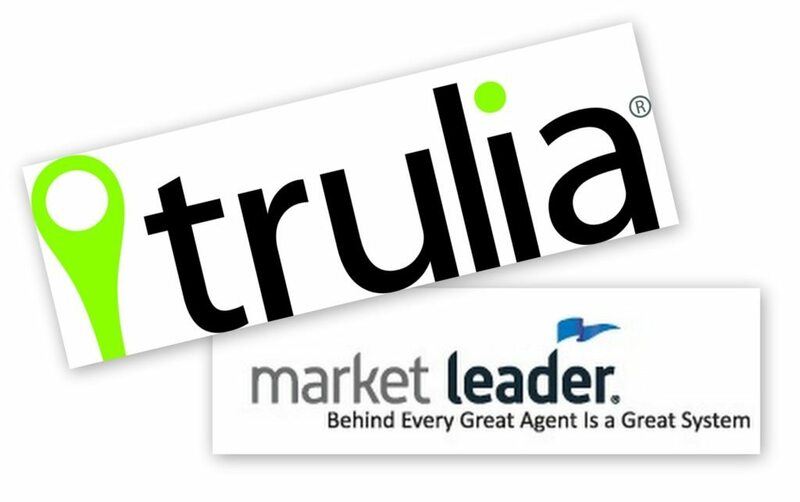 The Realty Alliance is a network of leading independent (as opposed to franchised) real estate companies throughout North America. They’re worth knowing because their members tend to control a lot of market share. In fact, there are probably fewer real estate transactions that they don’t touch in some way than ones they do. Leading Real Estate Companies of the World is an international network of more than 500 independent real estate companies. It essentially gives brokerage companies not affiliated with a franchise (e.g., RE/MAX, Century 21) some of the benefits of a franchise. This includes a relocation network (referring people who are moving out of market to another real estate company), a national convention, training and technology. Move is the publicly traded parent company of realtor.com and other holdings, including Top Producer, ListHub and TigerLead Solutions. Realtor.com is the national listings site Move operates under an agreement with the National Association of Realtors. It includes listings from more than 800 MLSs across the country and competes with Trulia and Zillow. Real Trends is a publishing and consulting company that produces regular reports and newsletters on industry trends. It is largely focused on brokerage executives and staff and has been a respected voice in the industry for more than 20 years. RISMedia is a trade publication covering real estate news and marketing. They offer content online and in a print magazine, and produce several industry events. They are perhaps best known for their Power Broker Forum, which brings together industry leaders during NAR’s annual EXPO. Inman is an real estate news service that was founded by Brad Inman, a former journalist and serial entrepreneur. Inman is known for its biannual Real Estate Connect conferences in New York and San Francisco, and for its close eye on upcoming technology in real estate. This is an annual report tracking emerging trends in real estate, technology and consumer behavior. It is published by author, speaker and entrepreneur Stefan Swanepoel, and is read widely within the industry. Real Estate Connect is the leading real estate and technology event. It has been in existence for 16 years. It is held twice each year: New York in January and San Francisco in July. It attracts real estate-related tech startups, the established online real estate companies, brokerage and brand executives, and real estate agents. This is the largest real estate trade show on the planet. The National Association of Realtors hosts the Expo every year in November, rotating locations. While it’s not a great place to network (think football stadium-sized trade show), the NAR Expo is a nice intro to the people who work in real estate day in and day out, and the vendors that serve them. The NAR Midyear conference takes place in Washington, D.C., in May every year. The event is smaller than the association’s annual expo, but includes a trade show and is a great place to network. This event is also where many important policy meetings take place. This is an event produced by Real Trends, usually held in Denver in May, where you’ll find top executives from all the franchise companies, large brokerage companies, and tech vendors. It offers limited sponsorship and exhibiting opportunities. The real estate industry is a complex maze of business relationships, data-sharing policies and federal regulations. This list is by no means definitive. If there’s an entity or acronym you feel any entrepreneur new to the industry should not go one more day without knowing, please add it in the comments below. Jessica Swesey is with 1000watt, a marketing, design and strategy firm focused on real estate. Republished with permission from 1000watt blog.